Are you investing your time in the most effective way to grow your practice or firm? Find out today by signing up for your complimentary consultation. Get better results NOW! 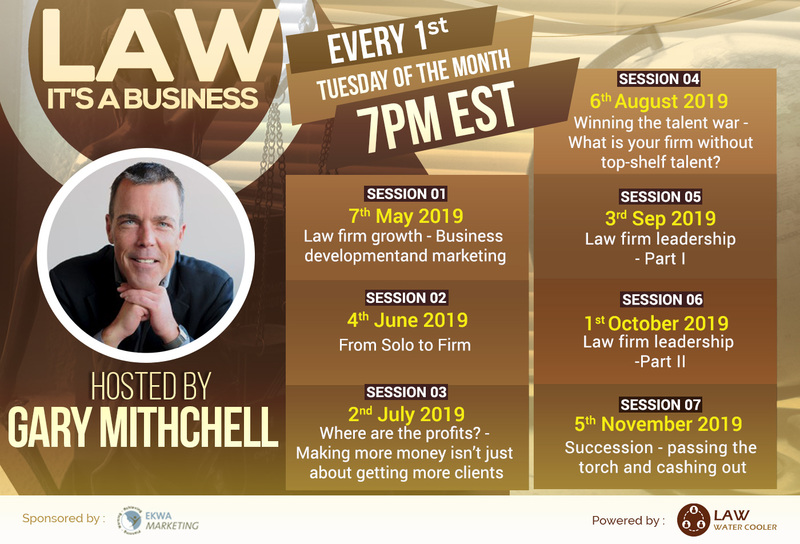 Gary shares his insights and those of his clients, on starting, growing and leading your law practice or firm. Get some tips on everything you need to know to grow your practice or firm. Get the definitive book on business development for lawyers - Raindance II: A Blueprint for Growing Your Practice. Don't waste another minute...get help now.